We’re getting close to the release of the Soulless Wonder Kickstarter. It’s a wonderful game drawn by past Marvel and Dark Horse comics artist Rod Espinosa! The story itself is quite deep too. 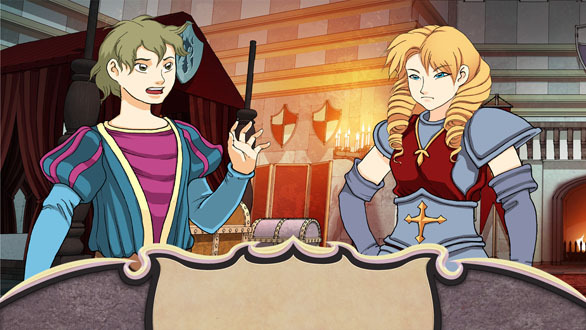 Gamers help make decisions of Lantz, a bard who is cursed to have to date Monster Girls. It’s a comical adventure but also takes on some very serious issues as well! It’s an important game to Darkain Arts and we hope you’ll give it a look. Covering topics like mental health, bullying, and even transgender issues hasn’t been an easy task, but the writing is top notch. The game isn’t preachy. It’s about building relationships and getting to know each of the games complex characters. Inspired by the conversation mechanics of NIS America titles but with lots of decisions like a Telltale Games adventure, Soulless Wonder is an ironically titled game that’s full of spirit. There’s lots more to come on this fantastic new title so stay tuned. If you’re a Steam user, be sure to vote! It costs nothing to vote yes. It’s a poll and it shows your support for this title. The game is still in development after all.